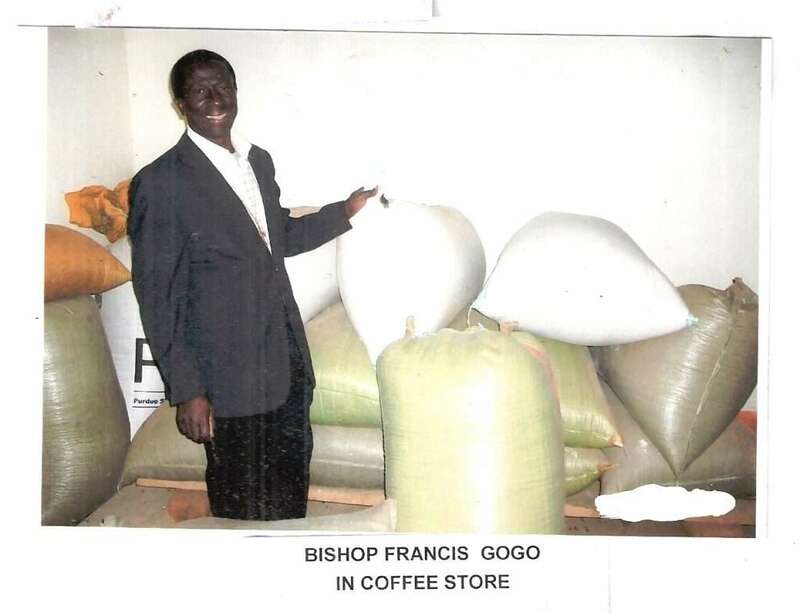 Bishop Gogo’s Coffee making business in Uganda. First are the workers grinding the roasted beans, Bishop Gogo at the Coffee store and some of the child at church who benefited. ENTEBBE, UGANDA – Bishop Gogo, the General Secretary of Northern Congo, South Sudan and Uganda has sent in a few more photos of the development Projects in Uganda. The most recent project is a coffee shop, that stores, roasts, grinds and sells the coffee they buy from local farmers. In the first year, it made over $500 USD in profit, which was wonderful for a start-up. Keep the project in your prayers as they hope to expand this year.